This is Part III in the Cats & Copy series. Click here for Part II and Part I. It’s a good idea to read these two first. These lay the foundations for the lessons within, and the story from before. Enjoy. Here’s the deal with most humans. If we don’t have to do it, we usually won’t do it. To get people to take action and change their lives is a difficult job. Luckily, it’s not your job. People will only take responsibility for what they want to. If anyone looks outside themselves to change their own lives, they’re already finished before they begin. What this means is, especially when selling to a higher-quality, more accomplished market, they know they must take responsibility for improving their own situation. But these laws of human nature often get us into repetitive ruts, subconsciously. They keep the body in a state known as Homeostasis. So if you come across as anything less than being the truthful messenger, bringing them the very most ground-breaking, relevant thing that will disrupt the structure of their lives, forget about it. Don’t even write a line of copy if you’re not fully committed. What if I never came along and scooped this cat up into immediate safety? It’s the same for you. You too, have a snowball’s chance in hell to save your prospect from whatever harm they’re doing to themselves at the moment. Some of these people in your market are literally waiting to put a sum of money into your hands. They’re gambling on one single shot to change their lives, and you have to convince them you’re worthy of it. Some members only need one single chance to throw everything they’ve got into making it work, and their lives will be radically different forever. I was hoping that one single investment into learning a business model would work out for me, and it did. After that, I dedicated my life to doing the ONE thing, which was building a business that’d let me travel and be free. 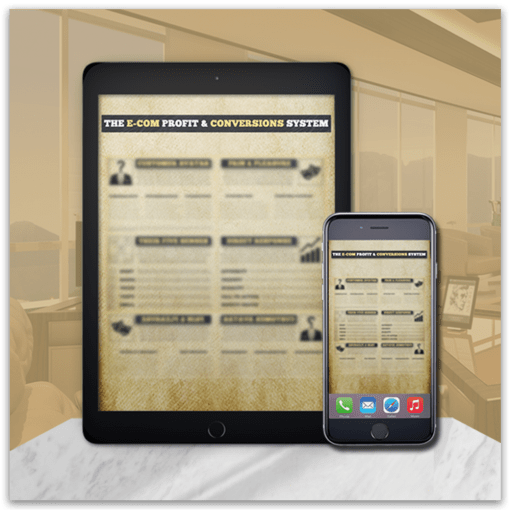 Ironically, the power of this business course came from insanely compelling copy, selling info products that net the owner somewhere around $300k/mo. in profits. I know this, because he was one of my earliest mentors back in the day, and I’ve seen him go on to prosper wildly. The same types of psychological persuasion, emotional storytelling, communication and engagement could turn your first dollar online to a predictable (monthly) stream of five or six figures. The point that this cat was at when I scooped her up off the side of the road was one of a hopeless state. She was a newborn kitten, small and harmless, and would likely die soon with no protection. It’s strange that her mom was nowhere to be found; cats don’t usually leave their young alone. So I knew something was up, and I assumed that the mom had already been killed somehow. I was in Bali, and there were many Komodo dragons that I saw while there. It would be very easy for one of them, or perhaps a snake, to scoop her up for dinner. So at this stage, she was as good as dead. And though it may be dramatic, this is the way you’ve got to think about your customers. They need you; they’re looking for solutions to their problems. Many times they have nowhere else to turn! This is the point at which marketers and businesspeople start to doubt their own abilities and value. Especially if you’re on the newer end of entrepreneurship, there’s a good chance you don’t have sturdy footing or results yet. … is to stop focusing on yourself. Yes, it’s strange, but if you are focusing on why you can’t, why someone else is better, or what’s wrong with your business, you’re being selfish. Why? Because it’s all about you. People don’t generally start thinking of others first, nor do they usually place themselves second. But once you start focusing on others and their needs and desires, the focus shifts. All of a sudden, you’re contemplating how to solve problems for a unique and specific market. You’re thinking how they think, consuming what they consume. And instead of trying to solve your own issues and being so introspective, you just get over yourself, and out of your own way. This is extremely empowering, and it’s the start of a forceful business. But these excuses are all total B.S. You just might share your experience and drop the value bomb somebody needs more than anything in their lives. You might write the copy for a product that changes millions of peoples’ lives. Or you could sell a product that brings untold transformation to peoples’ mindsets and habits. People have written in to me, that these posts have changed the way they view business, the way they operate in daily life, and ask me what to do next. And from where I started, and where my own mindset was, I knew for a fact that I needed this stuff, and didn’t see it out there. I pushed through all my own self-doubt, fear of failure, fear of success, and just created a site that could actually bring transformation. I created what I wanted to see out there. Chiefly, I positioned it uniquely with the aim of helping others in a very specific way; a way of total self-mastery and wealth. So get out of that headspace that suggests you won’t bring anything valuable, and focus instead on the customer you’re serving. Focus on the end user of your content or product, and you’ll have much clearer vision. Recognize that some people are racing down a slippery slope. They’re actively doing harm to themselves with the actions they partake in. They’re leading down a path that could ruin them, financially, spiritually, physically. How would you feel if they pulled muscles in their back and were injured for months, or worse, paralyzed? This would be awful, yet completely unnecessary. So you can let that type of feeling and power drive you to create your products, write your articles, or make your videos. Knowing that people let their monkey minds run their entire lives, knowing people don’t live free, and knowing people don’t recognize solid marketing when it poisonously bites them in the face is part of what drives me to create a revolution in these areas. For one single person in the world, you just might be the godsend. I’ve experienced sites, businesses, products, and resources that have changed the entire trajectory of my life. Absolutely no doubt exists in my mind that, had I not found these resources listed, I would be still chasing the old go-to-school-become-a-slave routine at this very moment. I’d still be aimlessly unhappy, unfulfilled at this very moment. Grasping hopelessly onto malnutrition and negative lifestyle habits. Lacking the freedom to take charge of my life, schedule, and inner circle. No doubt. NO doubt about it. And this is only one small slice. There are self-development sites, depression blogs and forums, weightlifting products, confidence programs, etc. and they changes lives. These don’t simply exist for profit and for the owner. These are usually what the owners made that they needed when they started. That’s what you’re looking at right here at Motive In Motion. If I can spark the minds that change the world, ban together and create something incredible, then I’ve done my job. I love it. I’m committed. I can’t get enough. It’s my (dare I use this fluffy word), passion. The mindset is the top of the waterfall, and all other things follow. This means that if I can spark the mind that creates organic farming, clean food distribution, physical therapy businesses, whatever! Whatever will help impact and change others, then I’m about that. This is an unlocking of dormant potential, and it’s my purpose here on this beautiful blue planet. And without sharing copywriting tips for beginners who are just starting out, the end users would not be getting what they need out of it. But enough soapbox; you get the gist. Focus on your customers and ending their pain, delivering their needs, and getting your word out. It’s your responsibility here to help your fellow man and woman. Why else would you come to planet Earth, if it weren’t to make others’ experiences better, lighter, more fun, easier, or impactful? Get to gettin’, or get to givin’. Copywriting tips like these, from the little kitten in Bali may help you get started. But they’re incomplete without having a framework to work from. Knowing customers need your message and expertise, but not knowing how to get it out to them? Sets the situation up for agony of both parties. They’re incomplete tactics without knowing the strategy of what you should be doing when you sit down to write. How to speak to them in their vocabulary and language, and make it convert to sales. 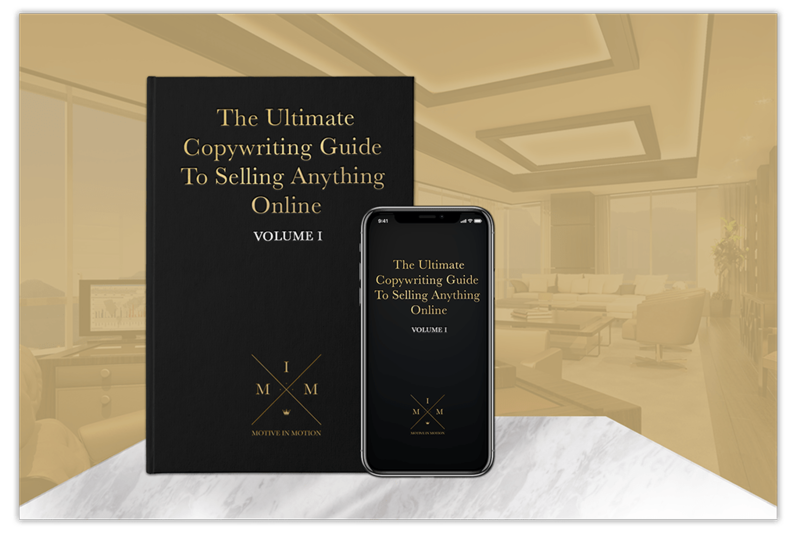 That’s why I wrote The Ultimate Copywriting Guide to Selling Anything Online [Vol. I]. It shows you proven formulas I used in my E-commerce businesses to rake in six figures revenue, primarily by adapting tested copywriting tips for beginners. I sucked when I started, and didn’t know what I was doing. But I was still able to build a freelance copywriting and consulting career off the power of my words.